Ok, some do. But then they usually lose that enthusiasm at the notion that they might need to spend a few bucks to get the answer. The reality is that a valuation is typically performed because someone else will tell you that you need to have a valuation performed. It’s usually in order for you to complete some other task – the real objective – if you will. Objective #1: You’re trying to incentivize your key employees with stock-based compensation. Your accountant advises that you need to have something called a 409A valuation done…and you thought that they were talking about cleaning your kitchen. Objective #2: You’re trying to gift shares of your business to your children or grandchildren. Your attorney advises you that you need a valuation to satisfy the requirements of the IRS. Objective #3: You’re trying to raise capital either through private equity or a public offering. 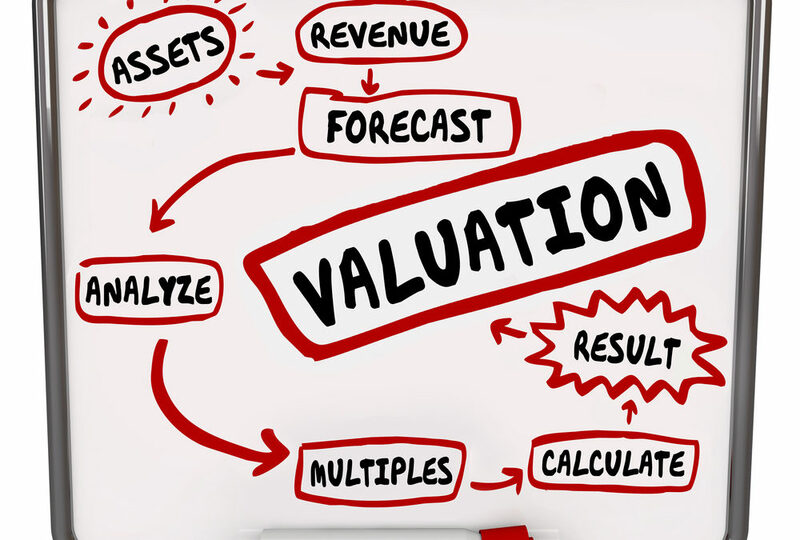 These are the underpinnings of the Income and Market Approaches to valuation. Naturally, the only way to know for certain what someone is willing to pay for the business is to put it on the market, but knowing how similar businesses transact will get you in the ballpark. If you’re not familiar with these valuation techniques and you’d like to learn a little more, you might enjoy taking a peek into these methods from the perspective of the TV show Shark Tank. The value of your business (or business interest) depends on what exactly needs to be valued, why it needs to be valued, when it needs to be valued and for whom it needs to be valued. 1. Is there debt on the balance sheet? If the answer is ‘yes,’ the value of your business depends on how much. As an every day example, if your house could be sold for $300,000 today but you have a mortgage (debt) of $200,000, your equity interest is only worth $100,000. The same is true for the business. 2. Is your valuation as of a recent date or do you need to go back in time to say, the date of someone’s passing for an estate matter? Markets and valuations change over time. 3. If your needs pertain to a minority ownership interest in the business, understand that it will generally be worth less than a controlling interest in the business. 4. The value of the minority interest also depends on what other classes of equity have preference ahead of it. 5. Furthermore, if that ownership interest is illiquid, understand that it will be worth less than if it were traded on an exchange or otherwise lacked the restrictions on liquidity. Have you been running the business with a strategic goal of trying to minimize your tax payments? If so, that means that your financial statements probably show that you aren’t really all that profitable. Saying it that way has a different feel about it, especially from a potential buyer’s perspective, doesn’t it? And what value might a not-really-profitable business have? Five times zero is still zero. If a sale or other liquidity event might be on the horizon, you probably should discuss this point with your advisers fairly soon.